Then it dawned on me. People only like to post “the good stuff.” People would post page after page of smiling selfies in exotic, far away lands and they would be eating interesting dishes and doing fun, exciting things. Meanwhile, I’d be stuck on the Powhite Parkway, eating a cold bean burrito. I’m not sure what happened, but my Facebook feed now reads like the lyrics of a sad country song. “I got food poisoning at ___________ (fill in the blank restaurant)!!! Somewhere along the way, people stopped posting the good stuff, and started complaining about EVERYTHING. They’re either angry, upset or offended. And some are even offended that you’re offended. People have lost their sense of humor, their sense of decency and some even lost their common sense. Are we all suddenly unhappy, or did the norms of what’s acceptable to share change? All I know is I didn’t need to know all the details about your recent surgery…and I certainly didn’t need to see the pictures. Monday, June 25 – Check it out! Account Manager Leanne Ferry is trying to change this trend, since taking over our Instagram page a few weeks ago, and she’s crushing it. This week, she posted about our July Media Mixer and captured some great moments of #WomensWinter in the office. Yes, the Madison+Main-iacs’ Instagram game is strong. Leanne has been getting a lot of practice with the popular pic app, especially with our client Drive Smart Virginia and the Who’s Your Driver campaign. Leanne and Communications Manager Kent Brockwell spent part of last weekend working for them at Larry King Law’s Langley Speedway. By the way, does anyone know the difference between a Raceway (as in Richmond Raceway) and a Speedway? On Monday Account Executive Haleigh Lader was flabbergasted. She relayed a story of a rogue deer that charged her — and her dog — at her home in Powhatan. 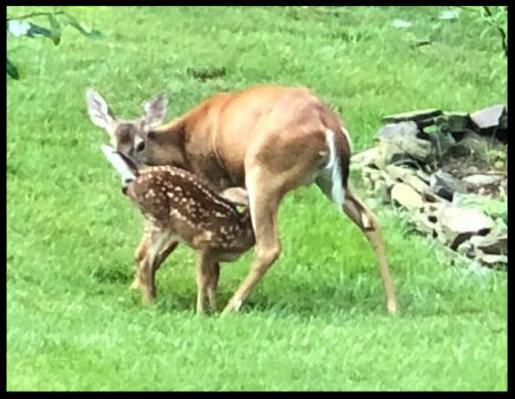 She was shocked that neither county nor state wildlife officials would come to her aid. Here is a photo of the horrible animals that apparently terrorized Haleigh this week. I can’t believe it’s been an entire year since Erin Rebmann joined our team as a Jr. Graphic Designer. She’s done a great job and was promoted (removing the Jr. from her title) 6 months ago. Send her some big time “congrats” here. Tuesday was also the anniversary of our SNCR Award from the The Conference Board. 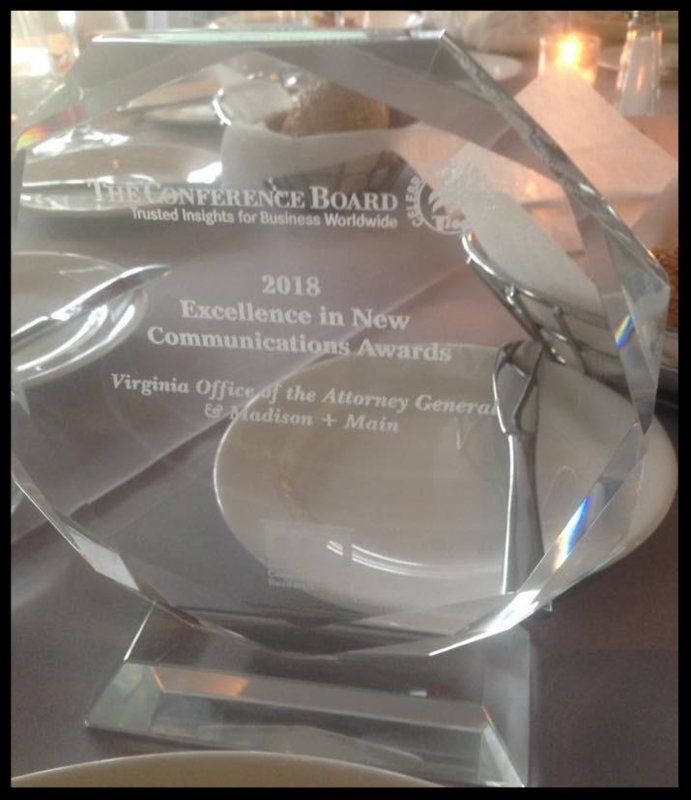 In 2017, we received our 2nd SNCR award for work we did with Virginia’s Office of The Attorney General for Human Trafficking. One year later, Communications Director Kent Brockwell took “the slow train” to New York and picked up another one. Same client, different campaign. We were honored to be recognized for the OAG’s “Respect Richmond” campaign, which has been partially credited for reducing gang and gun violence in RVA. Thursday, June 28 – Boom! Independence Day can be great time for the whole family, but fireworks can be a little disturbing for your family pet. On Thursday, we launched a new video for our clients at Sycamore Vet, with a few pointers for pet parents and July 4th Fireworks. Erin and Art both mentioned we should be “networking more at industry events” and just like magic (#boom) they both attended the Richmond Ad Club Happy Hour a few hours later. Photographer Kegham Hovespian provides evidence that our dynamic duo enjoyed themselves. Art & Erin like to drink. 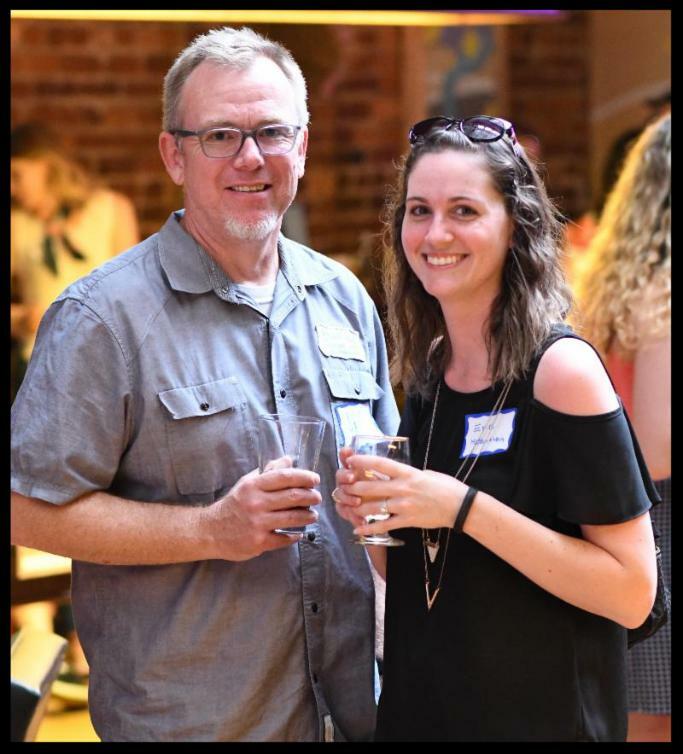 Join the Madison+Main-iacs and friends on for our July Media Mixer! There will be delicious cocktails, yummy appetizers, and a door prize! Join us for a night of networking where the business world and the creative community can mix and mingle! Stay tuned to future Weekly Reports for more details and RSVP links. Our friends at CowanGates are hosting their annual blood drive in Chesterfield County to support Virginia Blood Services! From 10-2 p.m. come out to give blood and show your support. Sign up here! The Weekly Report is late this week, but it’s not my fault. I’ve been on the phone with Comcast for an hour. Apparently, they’ve had partial outages across the US today. Oddly enough, I could access CNN, but not Constant Contact, which is how we upload this newsletter. Anyway, there’s not enough time to mention all the excellent things that happened today, but we did have a great meeting with our new client, Southern Goodman. The Midlothian-based HVAC company has been helping folks for over 100 years, and we know they do great work — they installed our new Trane HVAC system at M+M World HQ.